I'd been having skin problems on-and-off all winter long, and I figured I could use a detox. Dr. Oz's 48-Hour Weekend Cleanse having failed me last year, I decided to do a broader internet search for a kidney detox -- and that was when I found out that kidney detoxes are supposed to help with skin rashes and problems. Other reasons you might want to pay extra attention to your kidneys are: if you're more fatigued than usual, you've gained weight or are bloated, you've had kidney stones, or you have bladder problems or frequent UTIs. 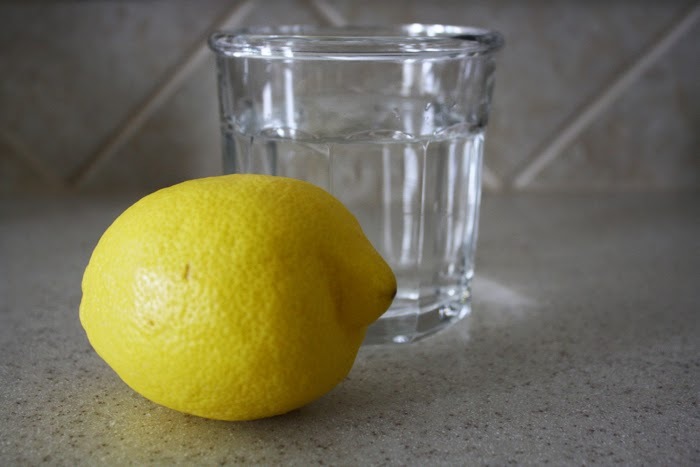 I would say that most doctors don't recommend detoxes as your body is supposed to detox itself regularly, so read on at your own risk (not that I did anything particularly risky). As with my last full-on detox, I wanted something reasonable. Meaning: I wanted something that didn't leave me starving in the middle of the night, or not eating any solid foods, or anything that was way out of the ordinary. To be honest, I couldn't find much of a "recipe" or guidelines for a kidney detox on the internet, but I did find a list of recommended foods at a website called The Holy Kale. Foods that are said to be especially great for detoxing the kidneys are: parsley, lemon, cabbage, celery, watermelon, cucumber, and carrots. Foods you should absolutely avoid if you want to be serious about the detox: sodium, processed foods, red meat, table salt (supposedly natural sea salt is not only okay, but beneficial). Also important, of course, is the amount of water you drink. Supposedly you are to drink half of your weight of water each day, in ounces. So that means if you're 100 pounds, you should be drinking 50 ounces of water each day of your detox. Over the course of the three days, I ate: lemon water, red quinoa with blackberries and raw honey, apples, cabbage salad with black beans and homemade lemon-honey dressing, black tea, grilled salmon with honey and dill, broccoli and cauliflower, a frozen berry banana smoothie, almonds, dates, whole wheat spaghetti with organic diced tomatoes and mushrooms, baked salmon with grapefruit relish, parsley water. I have the recipe for the baked salmon with grapefruit relish here, if you want to try it out for yourself. So using The Holy Kale's recommendation, I spent three days eating "cleanly," and by the end of the three days, I did feel better. Not significantly so (some recommend kidney detoxes of up to 30 days for maximum effect), but I was going without coffee and felt energized. Never did I feel in want of anything "bad," except for caffeine, so I would say this was quite a good detox ... that is, if it really did anything. It's always kind of hard to tell with these things, as I think they work gradually rather than having the overnight results we've come to expect of everything. But like I said, I was happy with my energy levels and I would absolutely do it again, or incorporate more of these recipes and foods (and superfoods) into my everyday diet. Have you tried to do a kidney detox in the past? Do you know of any good recipes or methods, or do you think the best way is to adapt the detox recommendations to each individual?